What is the My Account Portal? How do I access the My Account Portal? A. What is the My Account Portal? B. 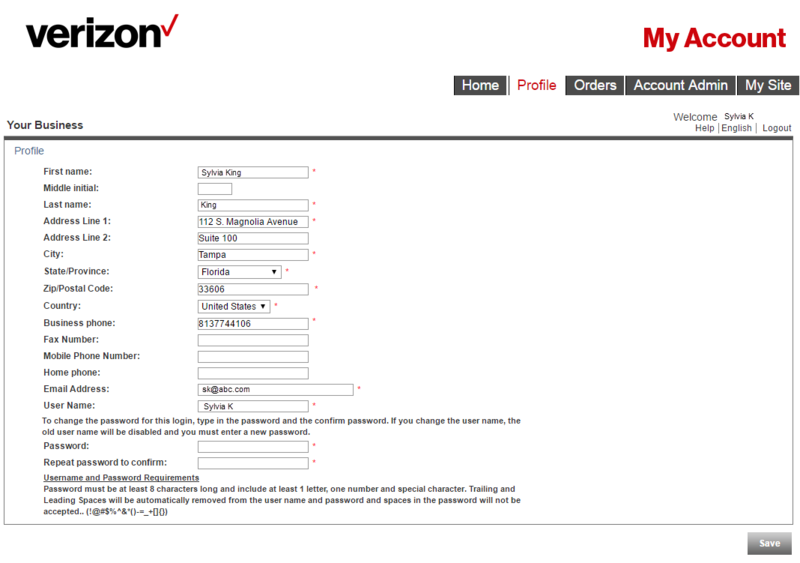 How do I access the My Account Portal? Reference your Welcome Email that was delivered when your account was created. Click Login and update your password. Note: Your username should be your email address. Once logged in, you are routed to the Home tab where you can view your account profile, orders, your account information and the site(s) assigned to your account. Identify account contact information . Change your My Account User Name and/or password. The Account Admin tab allows you to add admins to your account and view/edit existing admins. The My Site tab allows you to access the features and services associated with a specific site. Click on the Site name on the left of the page. 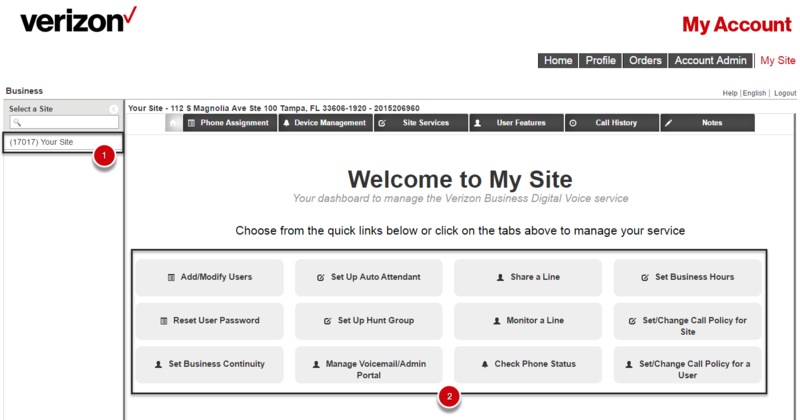 The My Site Dashboard will appear with Quick Links to services most commonly configured and modified for your Site.